Little Richard: A Must Read! Here’s a wonderful feature on a National Treasure… Little Richard. When I wrote a semi-regular “Atlanta/Macon Report” in Record World back in the early ’70s, the Capricorn Records crew took me down to the Macon bus station to show me where Little Richard had been a bus boy/short order cook at 16. Little Richard’s impact on Jimi Hendrix certainly held sway with Duane Allman. The Oxford American continues to deliver meaningful insight into the cultural impact of Southern Music. If I was a “suit” in the music business, then God knows, I wore some pretty good ones! Actually, I don’t remember buying a suit as a young adult. It was the era of sport coats with blue jeans… standard fare for young twenty-something music biz execs. But I did wear a couple of suits in those days… they just didn’t happen to be mine! Columbia Records was the premiere label of the CBS Records machine and the entire 12th floor of Black Rock, the 52nd Street CBS corporate headquarters, was their home. Epic was the stepchild label of the company and was based on the 13th floor. However, because Columbia shared some of their publicity staff with Epic, Susan Blond and I, along with our assistants, Diane Tisko and Laura Curtin, were the only non-Columbia people on 12. We worked in the shadow of the phenomenal year of The Boss. The stunning 5-nights at New York’s Bottom Line, the simultaneous front covers of Time and Newsweek — all happened then, all in the wake of rock critic and future Springsteen manager Jon Landau’s proclamation “I saw rock and roll’s future and its name is Bruce Springsteen.” And Susan Blond and I and our small staff at Epic witnessed Columbia Records’ rock and roll epiphany with awe on a day-to-day basis. We were the proverbial flies on the wall. 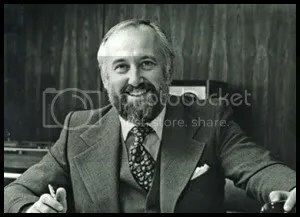 Steve Popovich had been an early, heart-on-his-sleeve crusader for Bruce, as the young head of promotion at Columbia. Steve was in the midst of creating his own legend in the music industry, and had just moved to Epic, and was now Head of A&R. Steve was a passionate advocate of the artists, the music and the music people he loved. He and Little Steven Van Zandt had become deeply connected friends, and when Van Zandt started producing Southside Johnny & The Asbury Jukes, Popovich embraced them and signed them to Epic. So now the massive explosion of The Boss had spilled over to the Epic Records label, and we could not have been more overwhelmed with excitement. Epic now had a little bit of the Asbury Park magic. 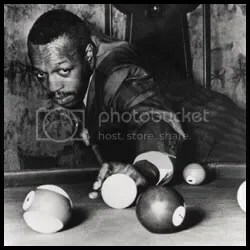 Working with the Jukes gave many of us young Epic people the essential excuse to gravitate down to Asbury Park, NJ on a regular basis. We now had a business reason to be there! With good friends of mine, I went in on a beach house rental in Belmar, NJ for the summer of ’76, as we were launching the Jukes debut album in the wake of the Springsteen success. …And I was on the Jersey Shore every weekend! Glen Brunman had joined Columbia in early 1975 as a publicist, and via his media strategies and work with Bruce, he quickly established himself as a member of The Boss’ inner circle. At 24, “Brahma” as Bruce had dubbed him, had become a media juggernaut with the stunning orchestration of the Time and Newsweek covers. I was the fortunate beneficiary of Glen’s talents as he was assigned as a ‘special projects’ publicist to be shared by both Columbia and Epic. So part of my hanging in and around Asbury Park, and The Stone Pony and The Fast Lane, was with Glen. One Saturday afternoon, Glen and I were walking around Asbury Park, and he suggested we stop by a store down the block to see some friends of his. We entered this little shop, and as I scanned the small front room, it was nearly bare of furnishings. There were a couple of simple clothing racks and a small 3’ x 3’ square platform, that was also about 3’ high, in the center of the bright, sun-lit room. There was only one person in this little barren shop. Her name was Obie. Glen knowingly explained to me that Obie was Bruce Springsteen’s trusted assistant and chief problem-solver. She modestly accepted Glen’s glowing introduction with a warm smile and told us how she was working on some new stage outfits for Bruce. She was engaged in getting those pants and jackets altered just right. In the flurry of an instant, Obie Dzielzic thrust a pair of trousers in my hands and pointed me toward a backroom. The next thing I knew, I was standing on that 3’ x 3’ platform in a full suit, while Obie measured and tucked, and then stepped back to take a measured look at just how she wanted those trousers to fit. I hadn’t really gathered my thoughts yet, but I was now wearing Bruce Springsteen’s pants. I was more absorbed and taken by Obie’s care and joy in her work, and that she was envisioning how they would appear on another stage slightly larger than the one I was standing on. It was a random experience, wedged somewhere between a Jersey diner Sunday breakfast and a beach traffic jam on the Garden State Parkway, in a rental car heading back to the city. For an hour or so, I wore those trousers and suit jackets that Bruce transformed into rock and roll chic, defying their formality and restriction. I think I came back a time or two to help Obie confirm those suits fit just right. I met Bruce only once, standing in the witheringly hot, jam-packed kitchen at The Stone Pony the summer night of Southside Johnny’s big Epic debut party. It was a makeshift backstage area. We leaned against the stainless steel table, sandwiched together like sardines with a hundred other people, before he made his “surprise” guest appearance. I said “Hello,” but never mentioned the suits. As I look back, there were only a few ‘suits’ in the music business, a few jerks who had little or no sensitivity for artists or somehow saw themselves as more important than the talent that makes it happen. The people I remember most are the ones who got the work done. The ones who enjoyed rubbing elbows with the stars, but knew and loved their own important role in the star-making process. People like Obie who got things done and never worried about a job title. I’m not in the old-school music business any longer. Virtually no one is. And I certainly wasn’t a part of that amazing team that helped the Boss break big. I love the fact that many of my Columbia Records friends actually were a part of it. Things change, but we have amazing, lasting memories of those days. Now today, I couldn’t get the gig of wearing the Boss’ suits anymore. I literally don’t fit the job! Ironically, I’ve heard that one of the reasons Bruce still does have that rockstar physique is because of Obie Dzielzic. She is credited with fashioning his approach to healthy living with diet and menu planning. I guess I should have stayed in touch with her! Now there’s word that Obie is writing a book on her experiences, and that Bruce has blessed it. I hope it happens, as I look forward to knowing more about her and her memories and observations as the ultimate person behind-the-scenes. One of my favorite people and favorite music journalists, Jim Bessman, tweeted a note marking the passing of Charlie Collins, the last surviving member of Roy Acuff’s Smokey Mountain Boys. It reminded me how often we brush near people in the music industry, but maybe never directly connect… and yet you have incredible connection. Fact is I never met Charlie Collins. 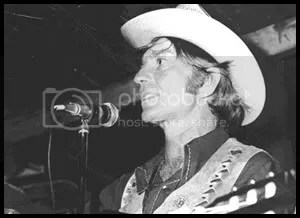 However, as a young journalist myself, I saw him perform with Roy Acuff the many, many Saturday nights that I hung out in a dusty corner, next to dark bundled and roped velvet curtain backstage at the old Ryman Auditorium. These were the days when Roy Acuff was the absolute reigning King of the Opry and the Senior Statesman of Country Music. 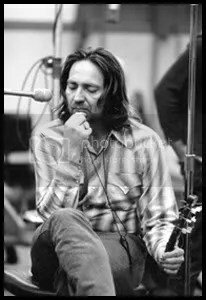 He presided over the last show at the Ryman on March 15, 1974, before the Opry moved to the new Opryland complex the next evening. I had the opportunity to be in the audience for both of those shows, including Roy’s presentation of his yo-yo to then President Richard M. Nixon, who highlighted the nationally televised festivities. And though I never thought a moment about it until now, Charlie Collins was on the stage for all of it. 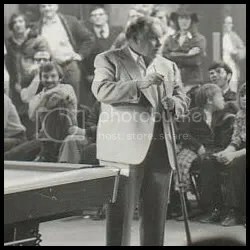 Those were memorable times, but my most memorable and probably only albeit indirect encounter with Charlie Collins and his fellow Smokey Mountain Boys came in 1978. 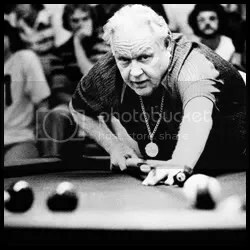 And I didn’t think of this one either until Jim’s tweet on Charlie’s passing. 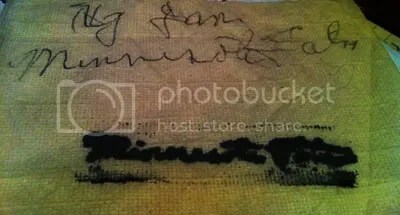 It was early that year that I started a fledgling artist management company in Nashville, with a business partner Don Cusic, who is now a long-time author and professor at Belmont University. 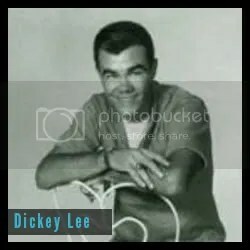 We started managing country/pop/rockabilly great Dickey Lee and we added one of the original country/rock successes of those days the Tennessee Pulleybone to our roster. Still looking to get our struggling company off the ground, Don and I were scouring the streets for someone, anyone who might be able to generate some revenue. 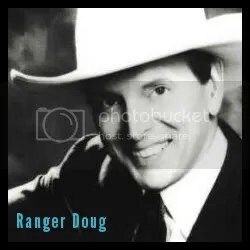 True to how we know him today, Ranger Doug smiled and said kind of sheepishly (No pun intended! ), that he would like to be a performer. Thus began Riders In The Sky, and the three us started a dialogue of ideas to build an act with Doug. We borrowed two of Dickey’s band members, including bass player Fred “Too Slim” LaBour to test out the idea. Slowly, we began to get them a gig or two around Nashville, including a weekly residency on Monday nights at Wind & The Willows, which was the living room of a house one block east of Elliston Place. 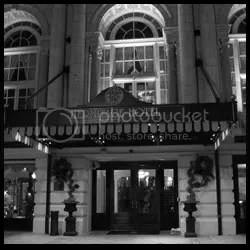 They only served popcorn and beer, but it was an ideal place to drag a couple of music business people to illustrate this crazy cowboy band idea. 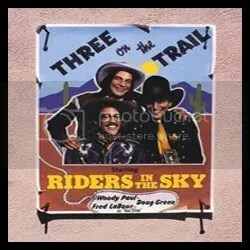 In the meantime, Doug and Fred and later that year Woody, steadily developed the harmonies, nostalgia, and humor that has become the trademark of Riders In The Sky. It has made them one of the most uniquely smart, and entertaining acts to grace thousands of stages over nearly 35 years. So what does this have to do with Charlie Collins? 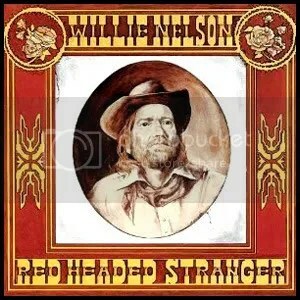 Well, there was a night in 1978, when this new idea called Riders In The Sky was given a guest shot on the Grand Ole Opry. We had no record label. We had no agent. We had very few dates that we had booked ourselves. However, somehow we got this Opry date. We were all SO excited to get this guest shot! The band went on and performed an old cowboy chestnut, but I can’t even remember which one. We had actually invented an act that was on the Grand Ole Opry. 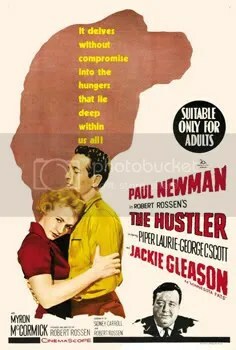 Man, was this novel!! After their one-song shot, we went back to a green room area backstage at the gleaming new Opry complex. 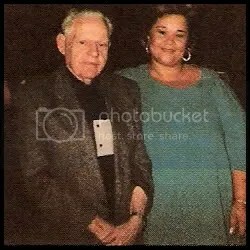 However, within minutes, we were confronted by an Opry official, who announced that Mr. Acuff would like to see the band in his private dressing room immediately. Our heads spun for a fraction of a moment. People in Nashville in those earliest days of the Riders tended to think of them as a novelty act, particularly because the guys inserted such great humor in such a contemporary way. My first thought… I was stricken. 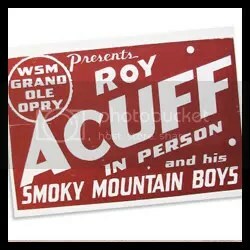 Was Roy Acuff calling the boys into his dressing room to chastise them for making fun of cowboy music and subsequently country music? Would Doug be put on the carpet to explain that he really did love it and was honoring it? Would they even believe him? Had we offended The King of Country Music? My initial thoughts were of dread and concern. Between Doug, Fred, and Woody, I believe we had three Masters Degrees and a Doctorate. 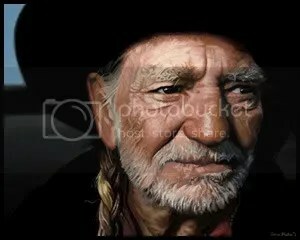 Would the man who was crowned for all of history as the King of Country Music be giving our boys a lesson in humility? Don and I led the Riders into Roy’s dressing room. In the blur of the moment, I saw Roy and his royal court of sidemen sitting in a semi-circle like a High English Court awaiting our band of paupers. Certainly, Charlie Collins was one of those Cardinals in consultation with the Pope. In an instant, Don and I knew we were not to be a part of this meeting. We backed out to the hallway, where we waited for what seemed to be a couple of hours. The big, thick doors closed. We had no idea what our band had encountered. And what happened behind those closed doors that night, I never really heard the details. However, the upshot was so very special. Roy Acuff, Charlie Collins, and the rest of the Smokey Mountain Boys embraced Riders In The Sky. They were moved that these young, educated musicians, had so honored cowboy music and they were there to take it to the next generation with special care. THEY were thankful. This was humbling. To enter the musical world of these legendary players, all members of the Greatest Generation, was awe inspiring. It was like looking up at Mount Rushmore. That night the Riders were anointed. Riders In The Sky became official members of the Grand Ole Opry a few years later in 1982. 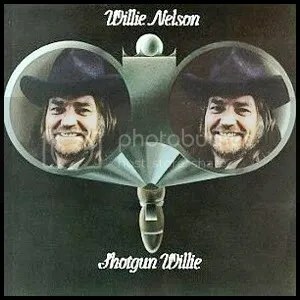 Now, 30+ years later, they have shared American cowboy music with its cultural connection to Tex-Mex, early Hollywood, and Saturday morning TV. And Charlie Collins has now ridden that Great Speckled Bird to his Maker. How quickly these lifetimes pass. But he can fly knowing that it was his generation’s shoulders that others now stand upon. He spent a lifetime performing “Wabash Cannonball” with Roy Acuff, a song that was published in 1882, over 50 years before he was born! He knew how to carry the torch. 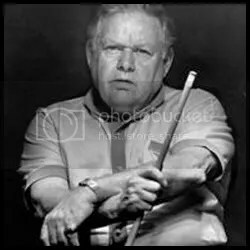 He was one of the scholars of country and bluegrass music who presided over the passing of the mantel to a young cowboy band some 34 years ago. And I had the good fortunate of being there… just outside that room. Somewhere, there’s a young performer or band listening to some music history. Respecting it like it deserves to be… and hopefully learning how to perform it with the ability and care so that the music lives on. Thank you Charlie Collins. Will The Circle Be Unbroken?